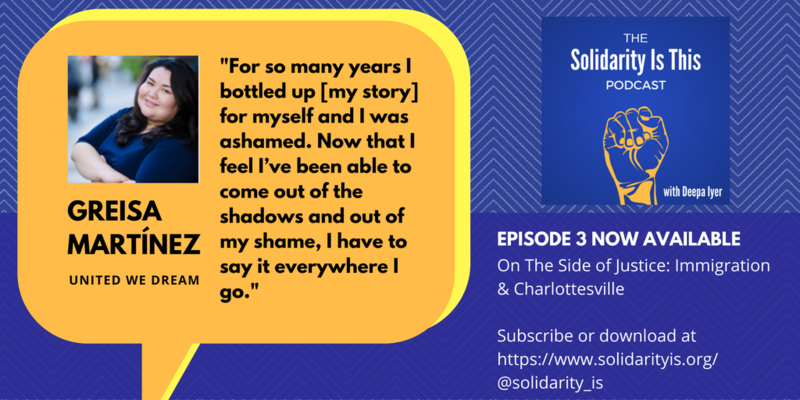 Dear We Too Sing America community: I’m so excited to share with you my new monthly podcast called Solidarity Is This. On each episode, my guests and I tackle questions about how to build multiracial solidarity in this particular moment in the American story. Solidarity. It’s become a buzzword. But what does solidarity mean in reality? What are solidarity values and how do we center them? And how do we go about practicing solidarity, as activists, as organizations, as people who care deeply about building inclusive schools, campuses, workplaces and neighborhoods? Listen to the first episode, Bystander, Upstander and then head over to the Solidarity Is This website to listen to them all. Dear WTSA Community: Each of us have our own experiences, insights and stories about 9/11. 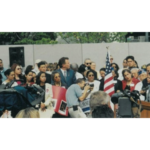 Many of you know that I’ve spent the bulk of my time in movement work focused on issues affecting South Asian, Muslim, Arab and Sikh communities in post 9/11 America. 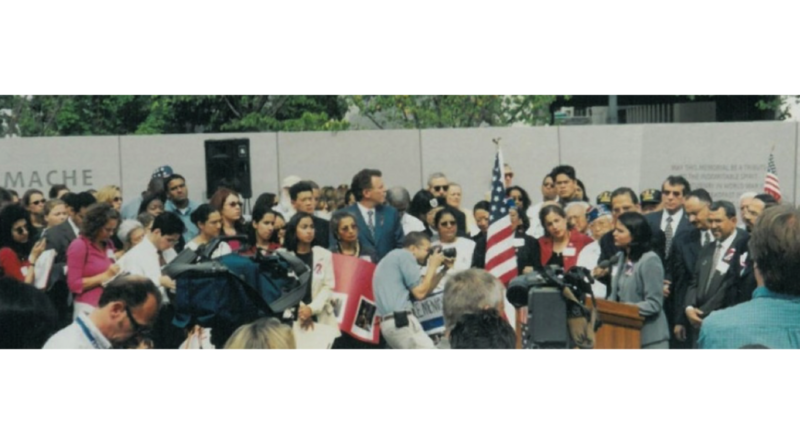 On the 16th anniversary of 9/11, I wrote a personal essay on the toll of trauma on activists and organizations. I’d love your feedback or thoughts if you have a moment. Thank you in advance for reading and sharing. Published in School Library Journal. Public libraries have always played an important role in my life (and now in my seven year old’s!) and I’ve appreciated being able to bring We Too Sing America to public libraries. That’s why I was excited to write this article for the School Library Journal about how public libraries can create safe and brave spaces to stand up to Islamophobia and xenophobia, especially in today’s climate. Every public institution in America must be prepared to address the changing racial landscape and the racial realities that come with them. There’s also a wonderful profile of the important work at Oakland Public Library accompanying the piece. I hope you’ll read and share. 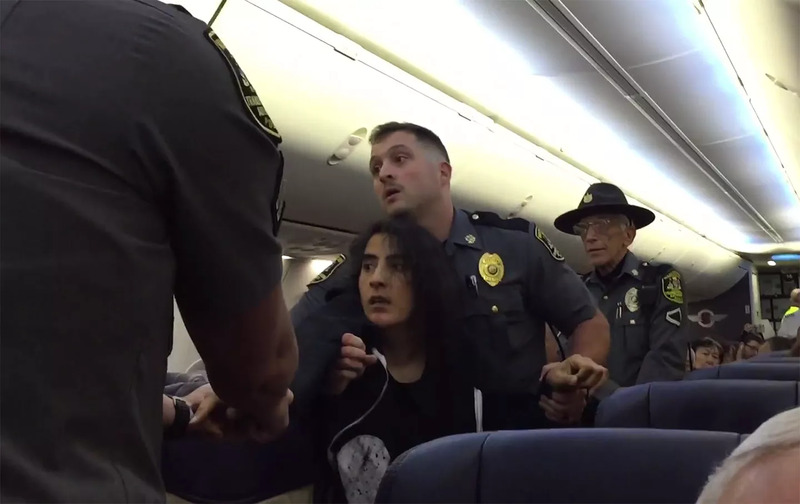 Please read and share, and continue to call upon the airlines and airline industry to make systemic changes. Dear We Too Sing America Community! In early March, when We Too Sing America arrived in paperback, I pledged to give away 10 books – one to an individual and one to an organization of their choice. My publisher, The New Press, matched that giveaway so I’m excited to announce that 20 individuals and 20 organizations are receiving autographed and free copies of the book! To ensure that the book has the broadest reach possible, I also picked winners from 20 different states. 185 people entered the giveaway which surprised and thrilled me – thank you to everyone who entered for your support and interest in the themes of We Too Sing America. CONGRATULATIONS! I’ll be emailing the winners soon with more details. If you’d like to help get We Too Sing America to wider audiences, please contact me at deepa@deepaiyer.com. I am sharing my Letter to The Revolution, with a focus on my younger South Asian sisters – and some thoughts on making choices, lifting each other up, and sparkling in this moment. Please read and share if it moves you! And write your own letter – more at Letters to the Revolution. The news of the plot in Kansas to bomb an apartment complex and mosque where 120 Somali refugees live and work didn’t get much mainstream media attention – but it should have as it represents a growing threat targeting Muslim, Arab and South Asian communities. I wrote about how Islamophobia didn’t start with this election and how it won’t end with it at The Nation. It’s hard to believe that we are in September already! I’m writing with a quick update on We Too Sing America, and with an invitation to join a new effort to explore principles and practices of multiracial solidarity. *I’m so excited to share that We Too Sing America has been selected for a 2016 American Book Award from the Before Columbus Foundation. It’s such an honor to be among this group of authors: check out the entire list here. *I’m hoping to meet many of you at We Too Sing America events and speaking engagements during the fall. Check out the calendar of events here. And if you’d like me to come and speak or do a workshop at your conference, on your campus, or in a community space, please contact me at deepa@deepaiyer.com. *For the past month, I’ve been coordinating a new campaign called #SolidarityIs, which is an effort by national racial justice organizations to explore how we practice transformative solidarity. Check out our website at www.solidarityis.org and join us on Twitter (@solidarity_is). Our website contains resources, sample language for solidarity statements, and best practices of solidarity in action. *Be on the lookout for author Marina Budhos’ new young adult novel, Watched, which will be released this fall. It’s a must read for anyone who wants to know more about the impact of issues such as surveillance on the lives of South Asian, Muslim and Arab youth. 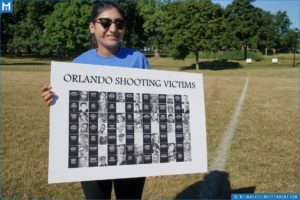 On August 5, 2016, we marked the fourth anniversary of the massacre in Oak Creek that killed six people and wounded many. The attack, committed by a man with ties to white supremacist organizations, occurred at the Sikh Temple of Wisconsin on a Sunday morning. Local community members marked the 4th anniversary in Oak Creek with a 6K race/walk and services at the Sikh Temple of Wisconsin. The youth group, which organized the anniversary event. asked me to provide remarks, which are below. Let me start by sending my deepest gratitude to the group of young people who organized this community commemoration in Oak Creek along with Serve2Unite. I am deeply humbled to be here this Saturday on the fourth anniversary of the hate violence at the Sikh Temple of Wisconsin. The youth group asked me to provide keynote remarks, but this will be more of a love letter to the community in Oak Creek. I know that we are also still absorbing Kamal Saini’s moving, powerful words who spoke before me. 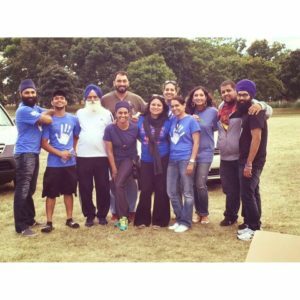 Even though I’m not related by blood to you, Kamal, and Harpreet, or to Amardeep, Pardeep, Palmeet, Prabhjot, Gurvinder, Kamal, Sarbjit, Harmeet, and Jasbir – all who lost a parent four years ago – you are my brothers and sisters. And even though I do not live here, Oak Creek has become a home to me. And even though I am not a Sikh, the Sikh Temple of Wisconsin has become a place where I can find a sense of comfort, spiritual connection, and belonging. I do not say any of this lightly. 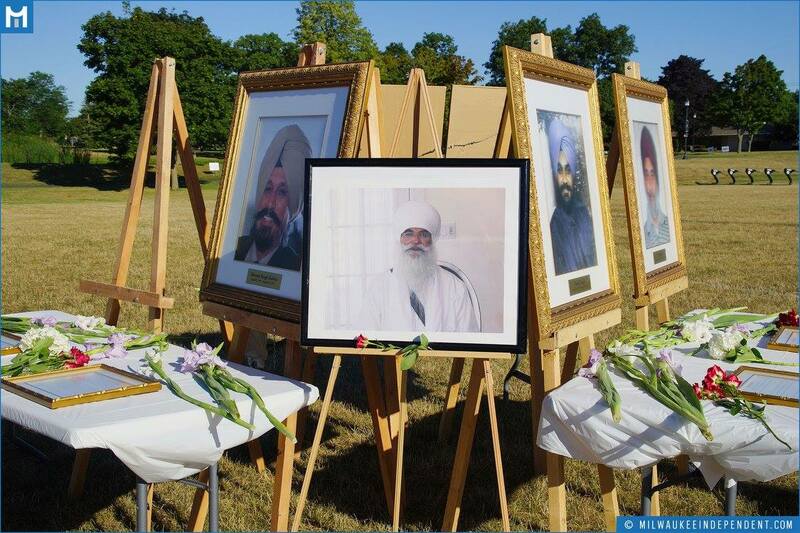 I say it, fully aware that those of us outside of Oak Creek on August 5, 2012, and who did not lose loved ones in the massacre at the gurdwara, can never fully grasp what this community has endured. That is why we have a responsibility, a duty and obligation, to make sure that Americans do not forget what happened here four years ago. That is why it is so important that we come together each August. That is why it is critical for us to say their names again and again – the names of Sita Singh, Ranjit Singh, Suveg Singh, Paramjit Kaur, Prakash Singh, and Satwant Singh Kaleka. That is why we must not forget to support Baba Punjab Singh, wounded four years ago and still in a coma a few miles from here. Because in remembering, in uniting every August, in saying the names of those taken away, and in supporting the families who endured unbearable loss, we are standing firm in our commitment to prevent another calamity of gun and hate violence from tearing the fabric of our communities. We are standing firm in our own commitment to creating more humane, more inclusive, more safe, more loving communities all across our nation. You – the Oak Creek community – have been living and embodying this message from the days right after the tragedy on August 5, 2012. It was at the memorial service in the gymnasium of this very high school when the nation first realized the resilience and strength of this community – in the emotional words of the family members who lost loved ones, in the sincere promises of first responders including Mayor Scaffidi, Lieutenant Brian Murphy, Chief John Edwards, Lieutenant Sam Lenda, US Attorney James Santelle, and in the actions of Oak Creek residents like Mandeep Kaur, Rahul Dubey, Navi Gill, Simran Toor and so many others who supported from the sidelines without need for attention or credit, who cleaned the gurdwara in the days after the tragedy, who organized youth groups for the young people who were exposed to deep trauma in their own place of worship, who helped with immigration applications, who provide ongoing psychological support, who speak at schools about the Sikh faith, who build bridges with Jewish, Christian, and Muslim communities locally, and who help to put together these anniversary commemorations year after year. In Oak Creek, ordinary people have heeded a call to action in the midst of tragedy in order to do remarkable and extraordinary things that continue to inspire me and so many others around the nation. At the time of the Oak Creek tragedy four years ago, I was the director of a South Asian American civil rights organization in Washington, DC. We worked with people like Amardeep Singh and Gurjot Kaur of the Sikh Coalition, Jasjit Singh at SALDEF, Valarie Kaur of Groundswell, Puni Kalra and Jasvir Kaur Singh at the Sikh Healing Collective and many others to bring national attention to what had happened in Oak Creek, to press successfully for changes to how the FBI collects data on hate violence targeting Sikhs, and to ensure that the federal government was being responsive to the range of linguistic, immigration and psychological needs in the community here. But more than anything, we knew that our responsibility was to keep telling the story of the Oak Creek community. My small part in ensuring that as many people as possible know about what has happened here has been through writing a book called We Too Sing America, a book which begins by centering Oak Creek in a chapter called “Not Your American Dream.” The chapter’s title is a reference to the powerful testimony that Harpreet Saini provided at a hearing in Congress months after his mother, Paramjit, was murdered at the Sikh gurdwara. The chapter goes on to document how community members, public officials, government employees, faith leaders, and non-profit advocates played their parts in creating the infrastructure to provide rapid response and long-term support to deal with a crisis of this magnitude. But we must also remember that hate violence against South Asians – such as the massacre at the Sikh gurdwara four years ago – did not begin on August 5th, 2012. In fact, it has a long history. 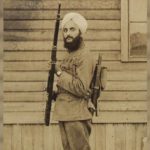 It is one that started in the early twentieth century when Sikh and Hindu migrant workers from India were excluded from becoming citizens and from owning land, as well as subjected to violence. The Bellingham riots in Washington. The Dotbusters in New Jersey. The attacks on people like Rishi Maharaj in Queens and Sandip Patel in Pittsburgh. The post 9/11 murders of Vasudev Patel and Balbir Singh Sodhi. These are all part of the history of South Asian America, and Oak Creek stands as the latest marker of mass violence targeting our people. But, there is more to the story here in Oak Creek. You play a critical role in our unfolding community story by reminding us that love overcomes hate, that inclusion and understanding of each other prevents fear and suspicion, and that acts of solidarity sprout hope. You see, what is so special about this community, is that you don’t give up. No, instead, you show up. Through your words and actions, you show us all what it means to overcome, what it means to get up day after day and spread a message of love even with a deep hole in one’s heart, and what it means to be in solidarity with people who have suffered similar losses – from the extending of your embrace to American Muslims who face tremendous discrimination and violence even 15 years after 9/11, to recognizing the families who lost children in Newtown to holding a vigil at the Sikh gurdwara last year for the African Americans killed by a white supremacist in Charleston, South Carolina, to remembering the Latinx gay, lesbian, and transgender people killed in Orlando earlier this summer in today’s anniversary events here. So how do we each of us carry on the legacy of the Oak Creek community? I invite each of us to make a pledge today, to identify a way in which you will make a difference. Perhaps it’s to share the story of the Oak Creek tragedy at the workplace. Perhaps it is to write a letter to the editor of your local newspaper about the importance of diversity and inclusion. If you are a student, organize a talk or forum on campus about hate violence. If you are a parent, inquire about the anti-bullying policy and teacher training on bias at your children’s school. Visit the Sikh Temple of Wisconsin. Call out racism and bigotry at gatherings of friends and your Facebook feeds. 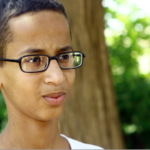 Ask local elected officials and government agencies about their preparedness to handle hate violence. As Dr. Martin Luther King, Jr said in 1963, “[W]e are now faced with the urgency of now.” Four years after the tragedy at the Sikh gurdwara here, we should be even more focused on the urgency of the moment. It is up to us to practice the spirit behind the words chardhi kala – to remain in grateful optimism while we continue to fight against hatred and bigotry. As we participate in this weekend’s anniversary events, let us do so in honor of the six people who lost their lives in an act of hate, and let us recommit individually to doing our part to create safer, more inclusive, and more loving communities. If not us, who? If not now, when? And if not here in Oak Creek, where? What should California’s sixth and seventh graders learn from their history and social studies books about the South Asian region and South Asian religions? Over the past few months, community advocates, organizations, and scholars have been engaged in a contentious process, proposing edits and counter-edits about how California textbooks should describe and characterize the South Asian region, South Asian history, and religions followed by South Asians. On one side of the debate is a diverse coalition of 24 interfaith and intercaste organizations called South Asian Histories For All, which has been holding the line against the efforts of a well-funded Hindu lobby that includes groups such as the Hindu American Foundation, the Uberoi Foundation, the Hindu Education Foundation and the California Parents for the Equalization of Educational Materials (CAPEEM). These groups, as Eesha Pandit mentions in her piece here, have faced questions about their ties to Hindu nationalism. The South Asian Histories for All coalition has pointed out that the suggestions proposed by this Hindu lobby include distortions of Sikh and Muslim history, and the characterization of the caste system as merely a regional set of social practices, rather than as an oppressive institution rooted in Hinduism that discriminates against and marginalizes communities. Progressive South Asians and Hindus must pay attention to these misleading, inaccurate and revisionist narratives, and most importantly, we must speak up. Doing so is often neither easy nor comfortable. In writing this piece, for example, I contended with my own caste privilege. As a light-skinned South Indian who was born into an Iyer Brahmin family, as my last name very visibly attests, I have operated for decades under the assumption that the caste system is an antiquated structure of a past that we left behind when my family immigrated to the United States from India in the mid-1980s. But this is simply not true. Like many others, I have unwittingly and unknowingly gained benefits from being a member of a high Hindu caste, even if I do not subscribe to or embrace this identity in my daily life. This is because as with many other ingrained biases and perceptions that South Asians hold, caste discrimination has migrated with the diaspora. Within the Hindu community in India, the United Kingdom and the United States, caste privilege and caste discrimination continue to exist, often unnoticed and under the surface, but with loud reverberations on the communities that are excluded and marginalized. We can spot it in the hierarchy of access within institutions that privilege Hindus, the hegemony of the Hindu religion in inter-faith spaces, the delivery of Hindu religious services, the decisions related to marriage within many families, and the unspoken standards of cultural and social acceptability that implicitly advantage people who are upper-caste, Hindu, and light-skinned. This even happens in the non-profit sector and social justice spaces. 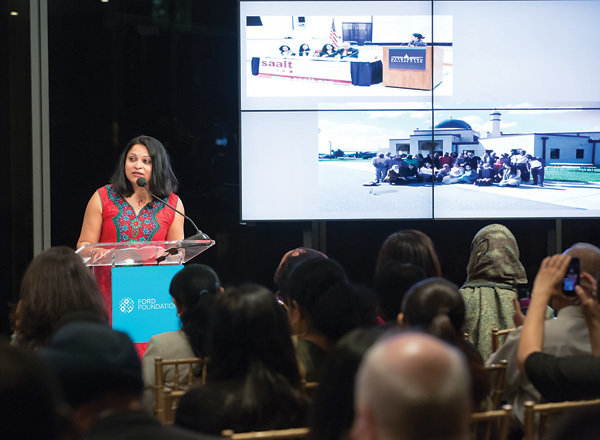 During my work at a progressive national South Asian American organization for a decade, for example, my peers and I were very vigilant about creating safe spaces at community events that respected the diversity and complexity of class, immigration status, and language ability navigated by South Asians. But, we did not think enough about creating caste-safe spaces, in large part because of my own lack of understanding about the ongoing influence of caste bias in the diaspora. Clearly, the caste system and its effects are not a remnant of the past or only a set of regional practices. Learning the truths then about the origins and ongoing impact of the caste system is not a wasted effort, especially for American children growing up in a country where the racial demographics are changing rapidly. If framed and presented truthfully, information in our children’s history textbooks about the caste system will result in increased empathy and understanding for others. Students will also be better equipped to make connections with other systems of oppression that they are learning about inside and outside their classrooms. In the same ways that learning about the system of Jim Crow segregation in the American South, the Japanese American internment, and the post 9/11 environment for Muslims and those perceived to be Muslim provides students with a critical lens to analyze race and immigration in America, so will information about the caste system give students an important critical lens to approach and understand the effects of discrimination and exclusion. Sanitizing history and erasing the experiences of marginalized peoples is not a worthwhile cause for those of us committed to diversity, justice, and equality. I’m sure that many of us can relate to Maddi’s sentiments given our own experiences of being singled out in classrooms and having to respond to questions from peers and teachers. But our experiences will not change simply by excluding or mischaracterizing information about the caste system. Instead of focusing on the erasure or revision of history and practice, we should be ensuring that teachers are properly trained to present material in classrooms and are creating safe learning environments where no child has to experience what Maddi has. That’s how systemic change will happen. Let’s also be clear about how and why anti-Hindu bigotry happens. While examples of anti-Hindu bigotry can be found in South Asian American history – think of the mobs that targeted “Hindoo” migrant workers at the turn of the twentieth century, or the Dotbusters who harassed and assaulted Indians in Jersey City in the 1980s, or the vandalism against Hindu temples in post 9/11 America – this type of discrimination occurs because Hindus and Indians are perceived as foreigners, outsiders, job-stealers, undesirable immigrants and “Muslim terrorists.” Anti-Hindu bias does not occur because its perpetrators have an analysis about or are motivated by caste bias. Caste is not easy to spot, whereas the characteristics of being brown in America today – the vulnerability factor for South Asians – are often very obvious. The California textbook struggle offers an opportunity for progressive and upper caste Hindus to raise our voices. That means acknowledging our own caste privileges and the ways we benefit from it. It means committing to working towards the dismantlement of the caste system altogether, one that has been characterized by activists to slavery and apartheid. 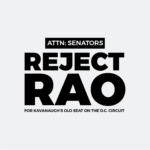 If South Asians are involved in efforts and rhetoric to tear down the system of white supremacy and to support Black and Latino communities in the United States around police brutality or the deportation crisis, we must also just as fiercely raise our voices against caste discrimination, Hindutva, and the influence of the Hindu nationalist lobby, especially in higher education. This Thursday, the California Department of Education will be holding another hearing on proposed revisions to the history textbook struggle. Here’s what you can do. The first steps to annihilating caste are to learn more and to speak up. Learn about caste privilege and discrimination with this primer, and share this survey on caste in the diaspora widely. You can also call the department at 916-319-0800 or write to them through their online form. If you are in California, attend the California Board of Education meeting on July 14th in Sacramento. For information please email getinvolved@southasianhistoriesforall.org. Hold events, conversations, and online forums at summer leadership programs, college campuses, and places of worship about issues brought up in the California textbook debate, and how you will deal with them when your state starts to revise guidelines. Deepa Iyer is the author of We Too Sing America: South Asian, Arab, Muslim and Sikh Immigrants Shape Our Multiracial Future. She blogs at www.deepaiyer.com and tweets @dviyer.